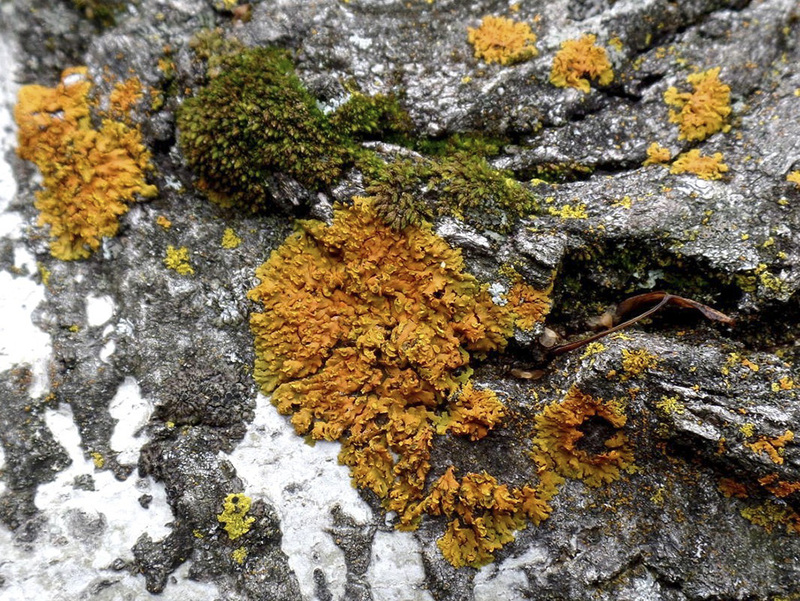 Elegant Sunburst Lichen (Xanthoria elegans) is an extremely widespread and very common lichen. It grows on rocks in humid to dry micro climates on all continents except Australia. It is common on rocky shores, especially where bird droppings provide nitrogen for its sustenance. It is very common on the rocky shores of Lake Superior. Elegant Sunburst Lichen is very long lived and very slow growing: it grows at a consistent rate of 1 ⁄64″ per year for the first hundred years before slowing down a bit. The color of the upper surface varies with the amount of available moisture : in streams it is yellowish-orange, on rocks out of water it is orange, and in dry areas it is dark reddish-orange. This entry was posted in Fungi and tagged Elegant Sunburst Lichen, Xanthoria elegans on October 2, 2018 by John Valo.